Forgot your anti-virus’s password? Don't panic! Making it necessary to use a password to access an anti-virus’s settings is not something developers do on a whim; they do its out of necessity. Should criminals manage to gain access to a computer, they won't be able to disable the anti-virus and deploy malware in the system if a password has been set. But a password can be forgotten. Important! Doctor Web doesn't allow passwords to be reset remotely—because if that feature existed, criminals would be quick to abuse it. But what can you do if you set a strong password (which is always a good idea) but managed to forget it? This is unpleasant, but there is a way out. First, save the Dr.Web key file (this file has the .key extension and contains information about your license). The file can be found in the directory C:\Program Files\DrWeb. For example, put it on your desktop. Important! 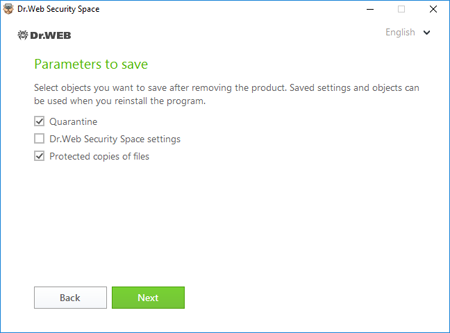 While uninstalling Dr.Web, clear the checkbox that instructs the installer to save the anti-virus’s settings. When the uninstallation is complete, restart the system and install the anti-virus again. During the installation, in the license registration dialogue, select Other activation types; then click Browse and select the previously saved license key file SLXXXXXX.key on your desktop. Press Finish and then follow the Installation Wizard's instructions. You can use the Download Wizard to obtain the latest version of Dr.Web. 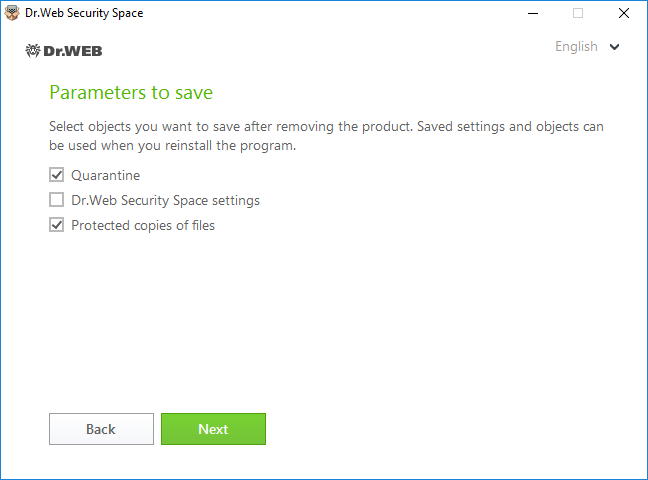 Be an active participant in Dr.Web's operation—be aware of its additional security features and use them. Password protecting Dr.Web’s settings is definitely one feature that requires action on your part. Set the password, be careful, and make sure that you remember it at all times! Better of course not to forget such an important password.